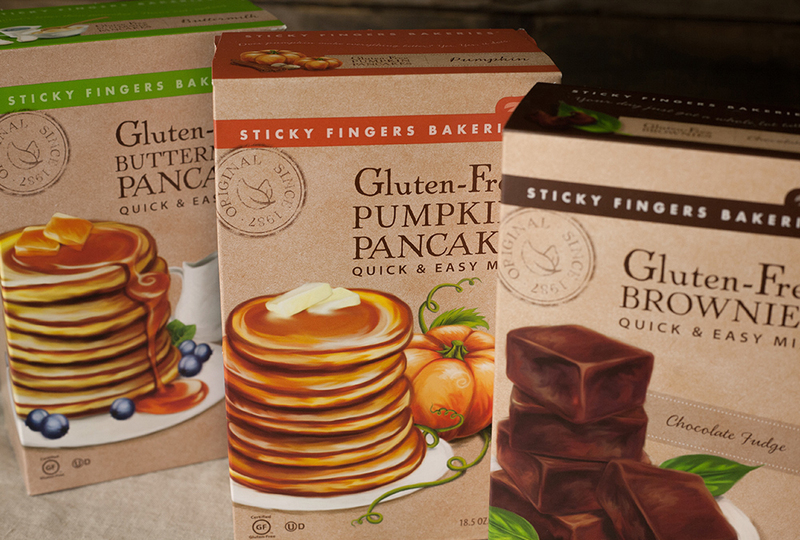 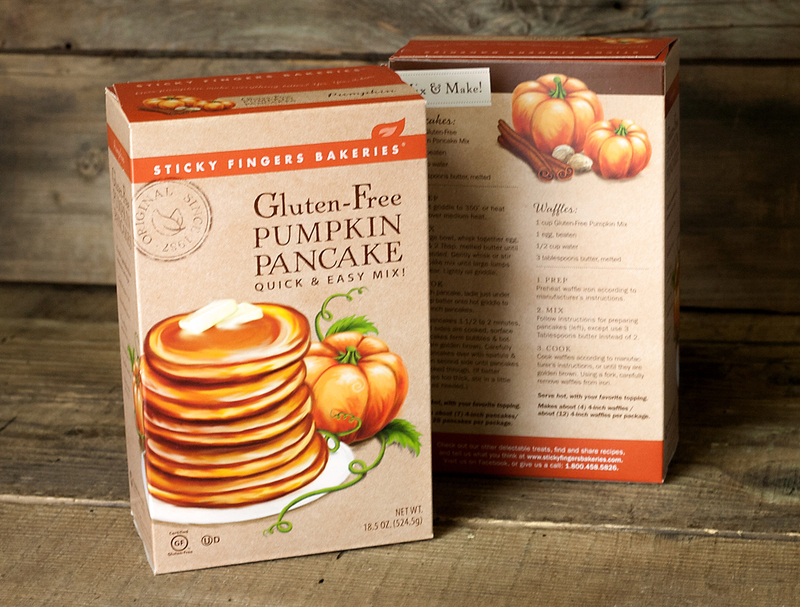 Sticky Fingers Bakeries expanded their line of gluten-free products to include pancakes and brownies. 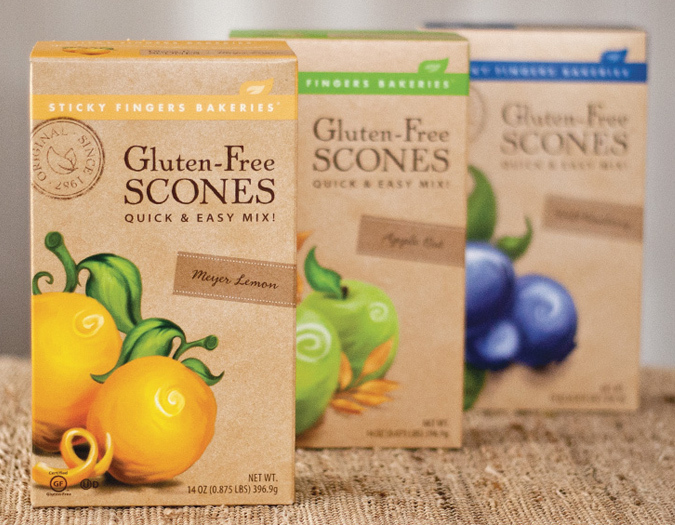 They wanted to be consistent with their line of gluten-free scones and create a cohesive look. 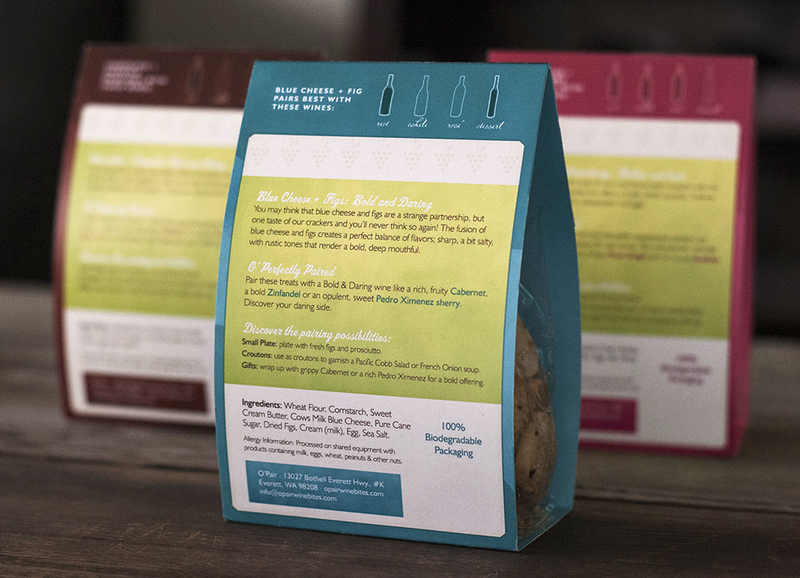 A simple and clean design for a simple and clean tea. 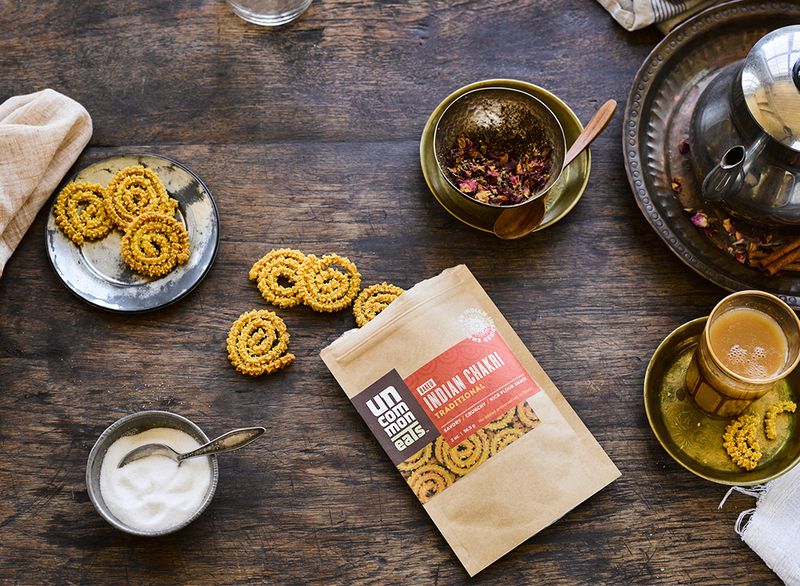 Golden Moon Tea wanted a clean look to reflect their refreshingly uncomplicated tea - 100% organic, no pesticidess and no GMO's. 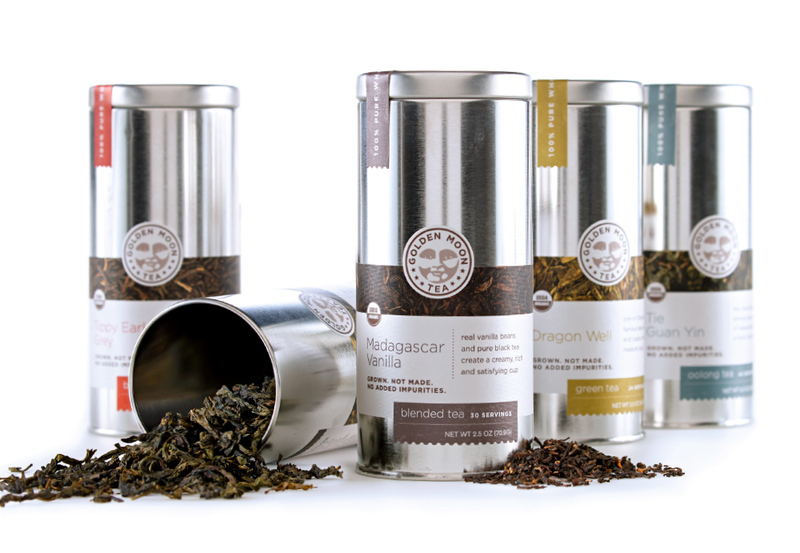 With over 40 different types of tea, the final design helps to simplify the product line with color, using a unique color for each tea category (green, black, etc). 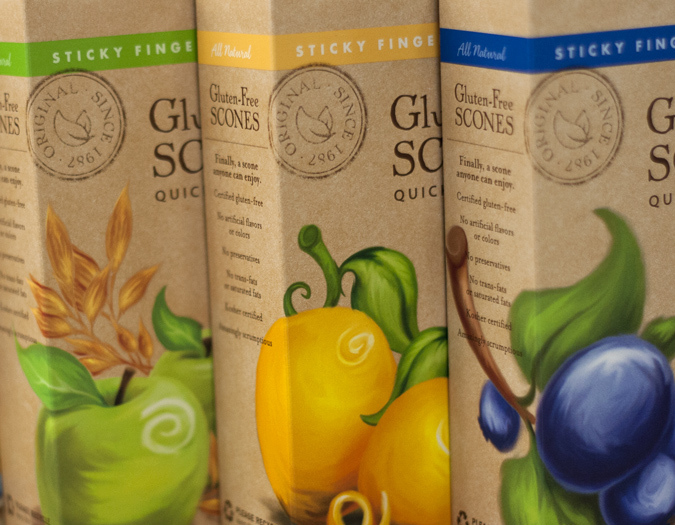 And with a unique product photo for each flavor, the finished packaging allows the simplistic beauty of Golden Moon's loose leaf tea to be showcased. 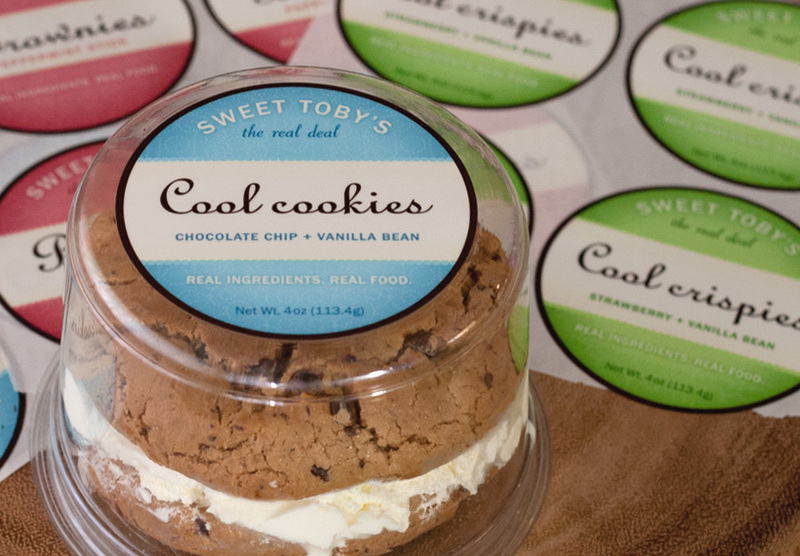 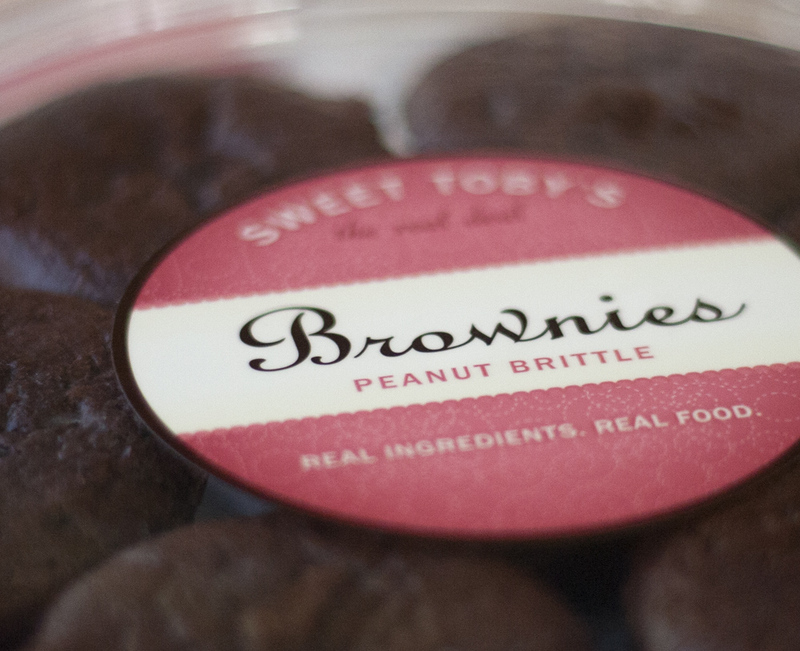 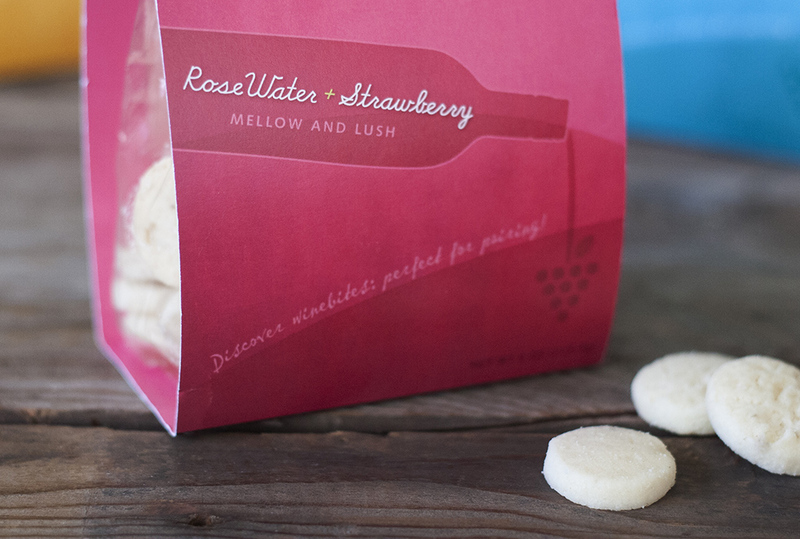 Sweet Toby's, a Seattle based company, needed a sweet and fresh design for their delicious variety of baked goods. 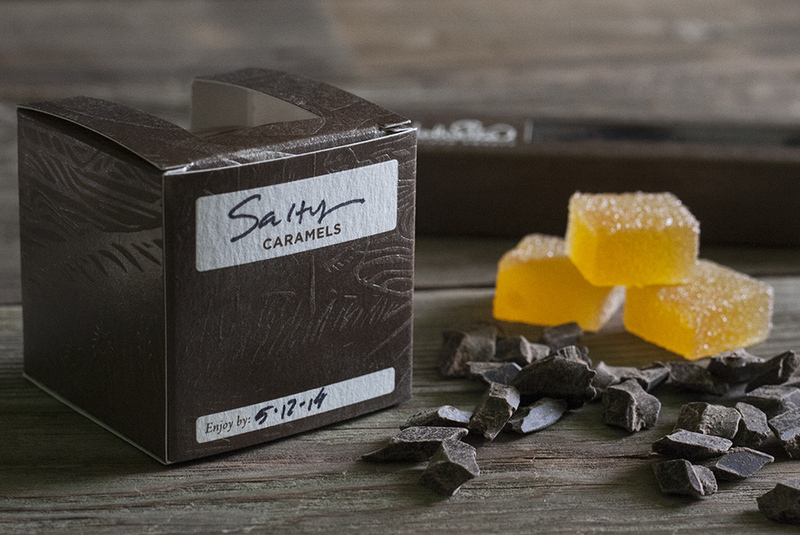 A system of color coded labels were created to bring order and a splash of color to the line of cookies, brownies, shortbread and more! 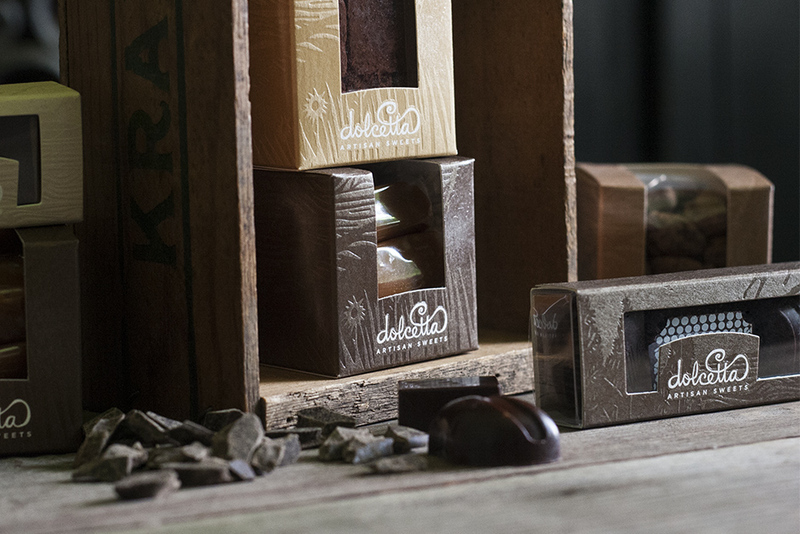 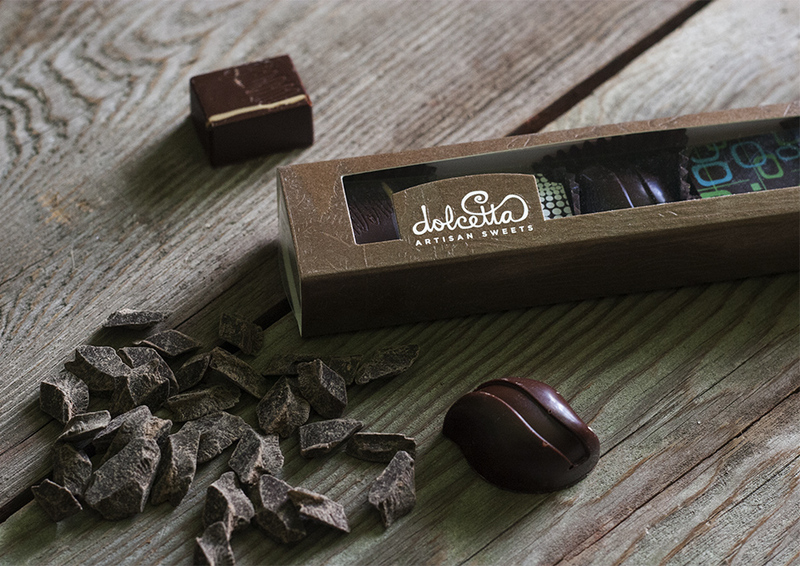 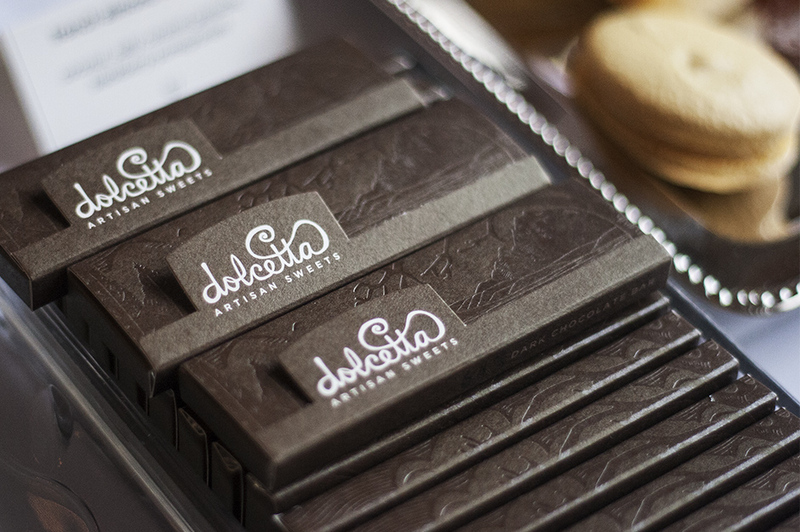 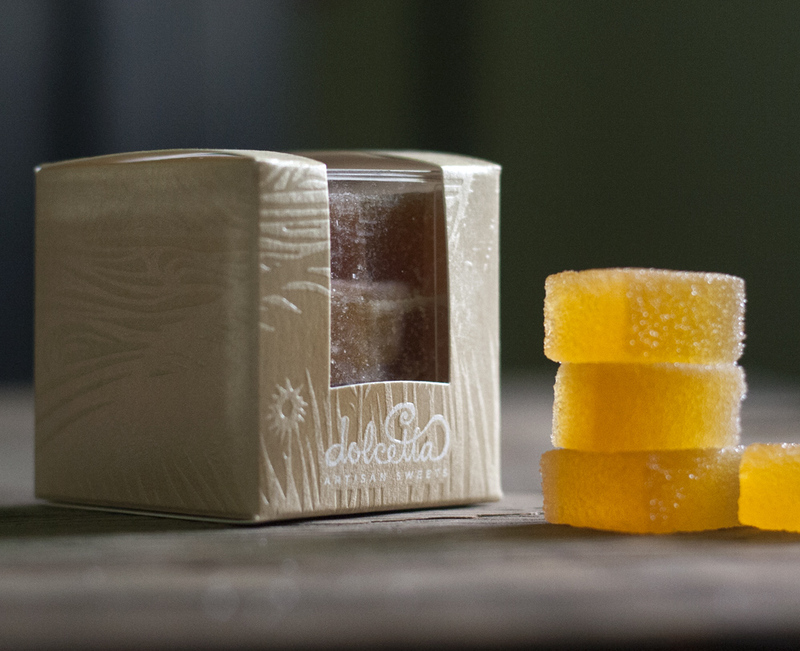 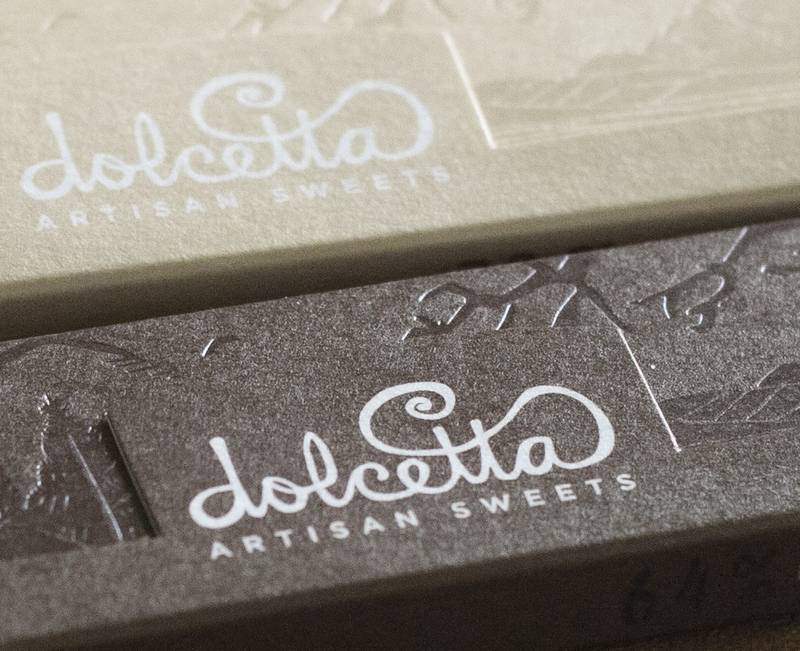 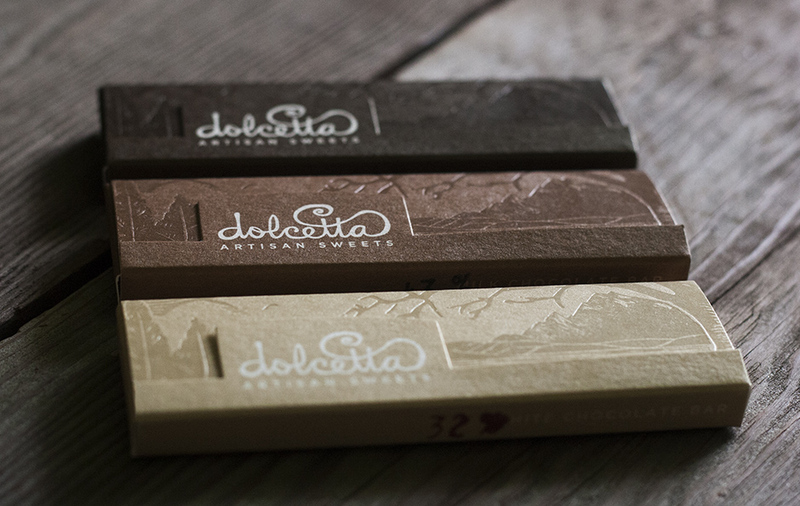 Identity and packaging design for fantastic local Seattle chocolate artisan, Dolcetta. 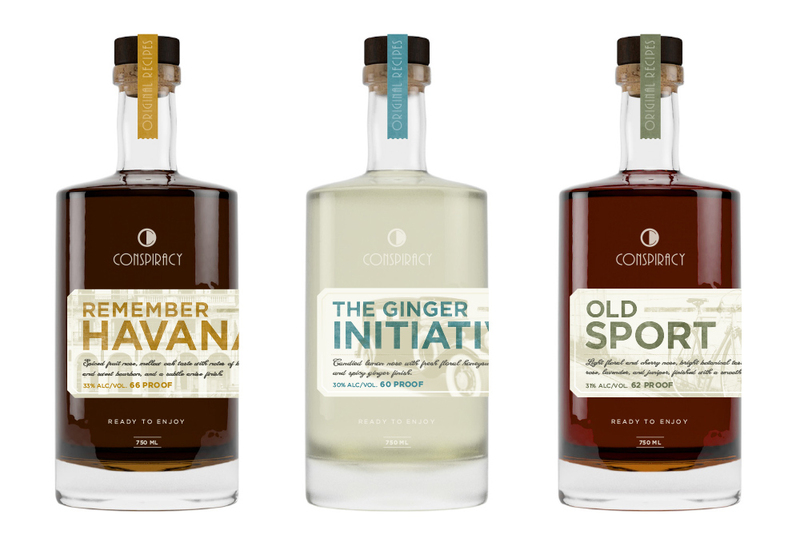 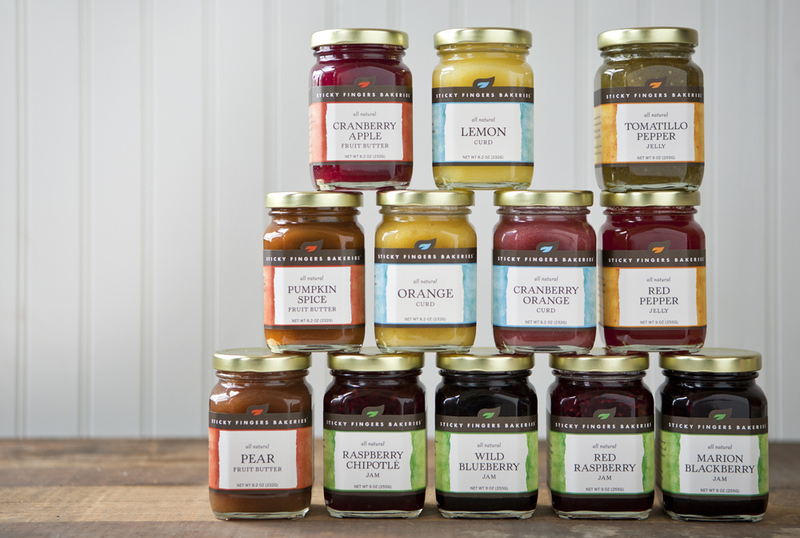 NCC teamed up with David Cole Creative to create a solid packaging system, complete with an original illustration, hand drawn logotype and a scrumptious color palette. 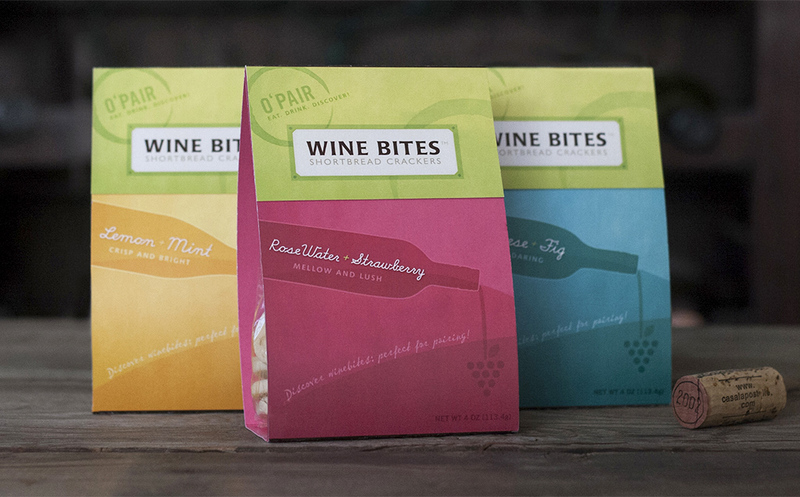 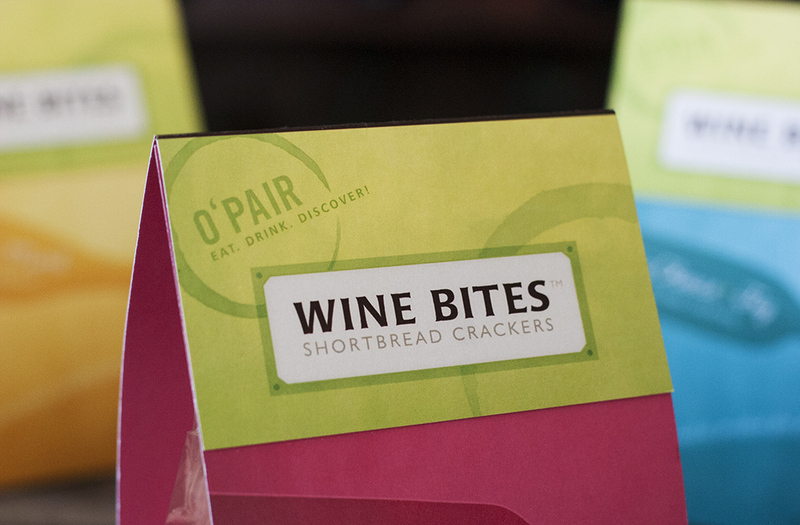 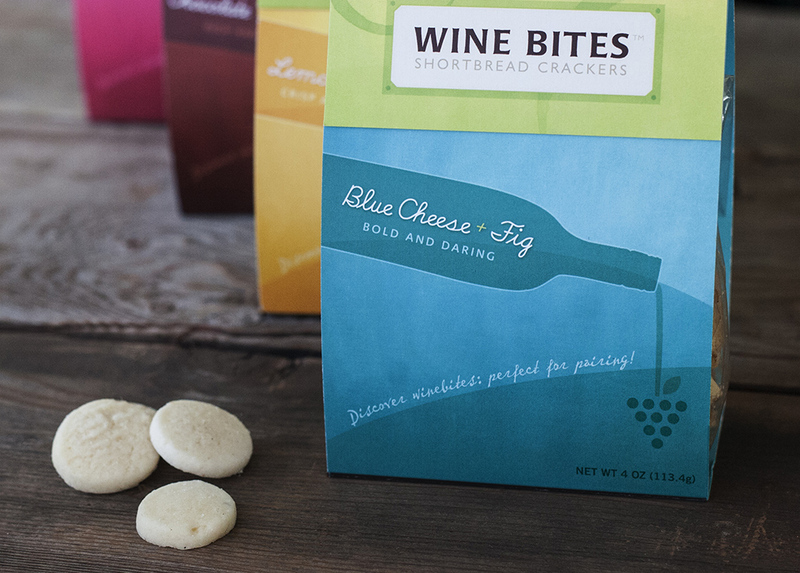 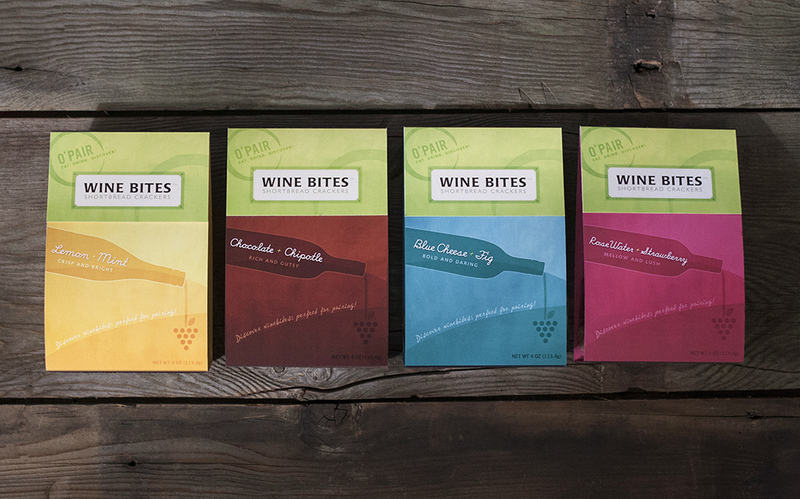 Unique flavor combinations pair perfectly with certain wines and make a great last minute hostess gift. 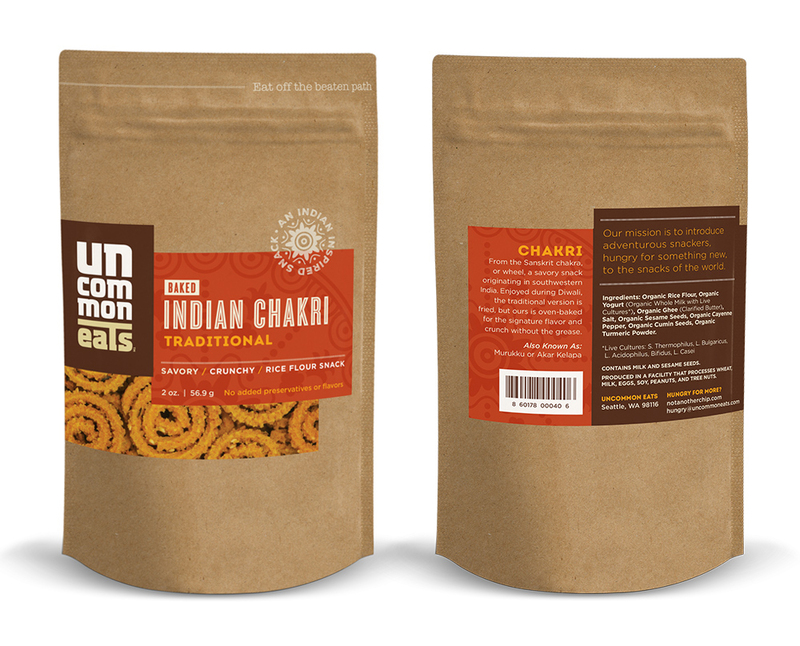 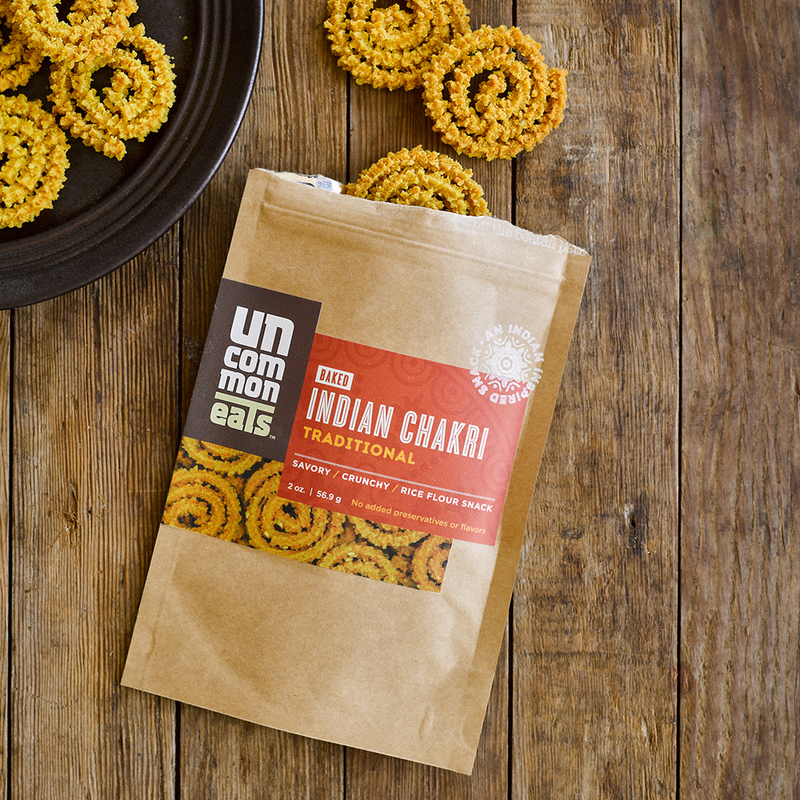 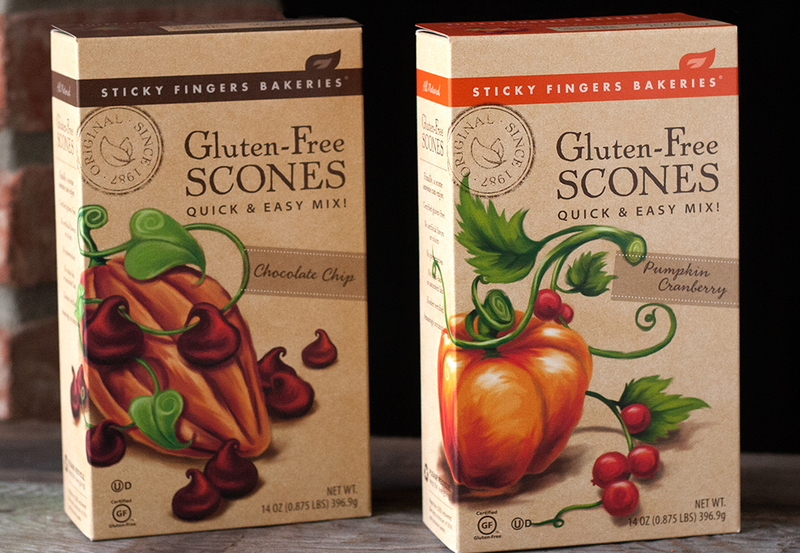 NCC provided complete product line package design and illustrations for this Seattle-area baked goods producer. 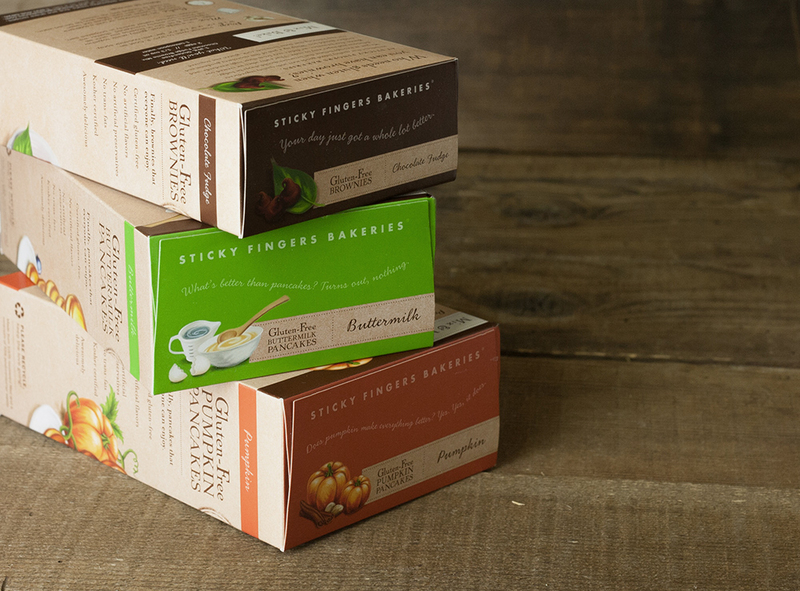 Sticky Fingers Bakeries, a specialty foods company based in Washington State, wanted to launch a new line of Gluten Free scones that was still visually connected to their original classic line, but also had it's own unique look and feel. 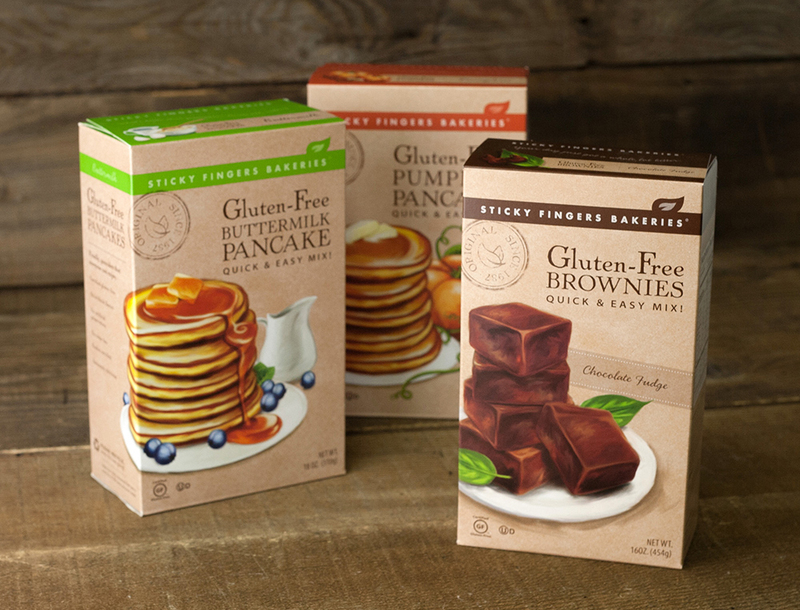 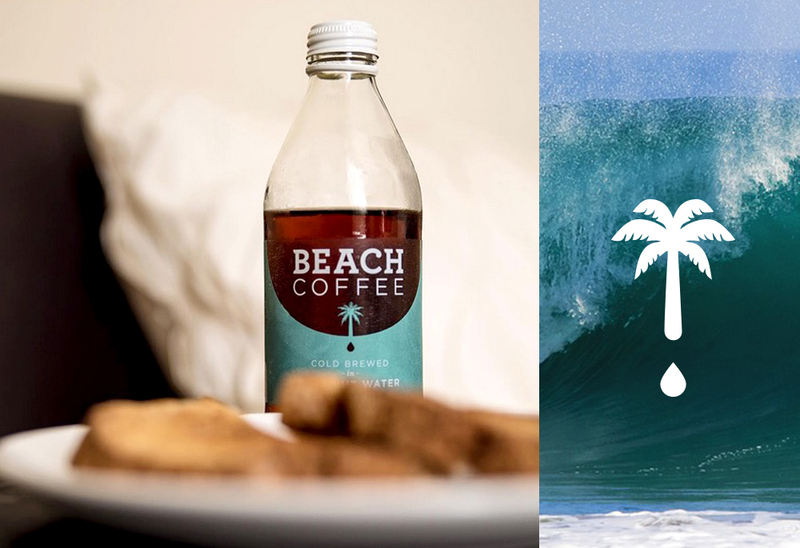 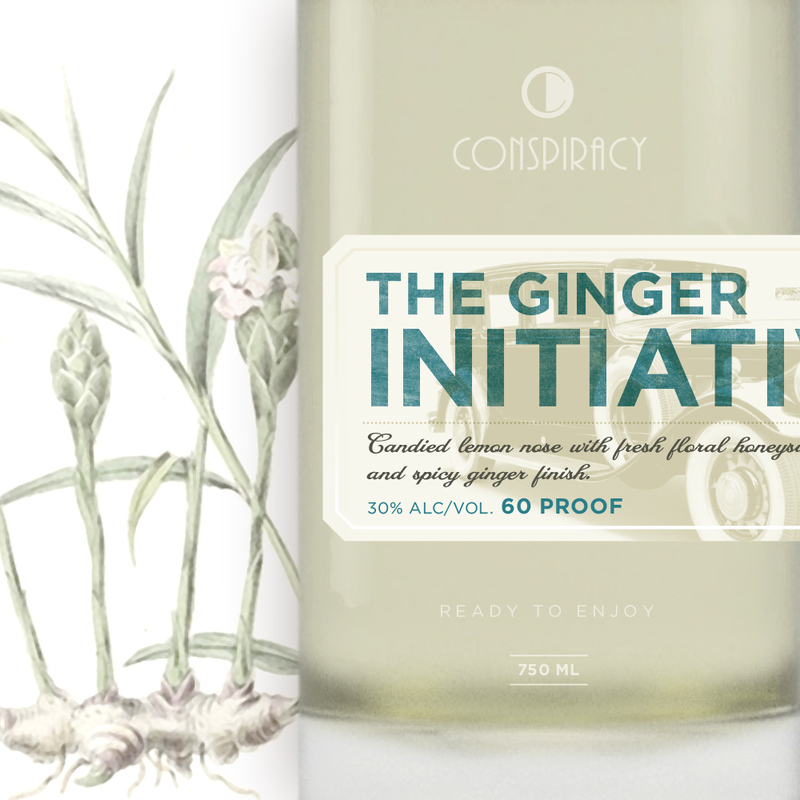 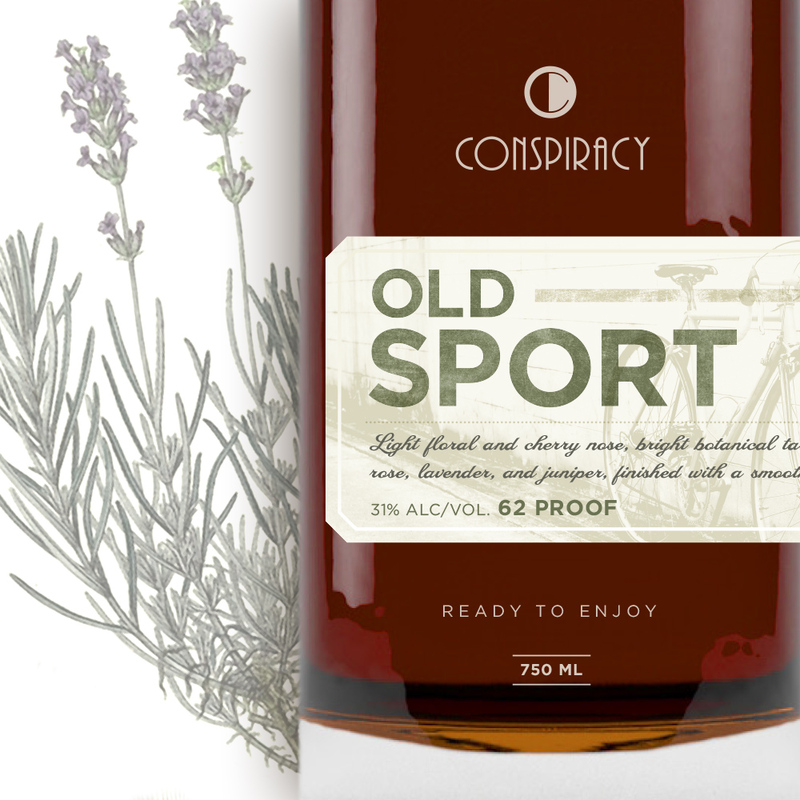 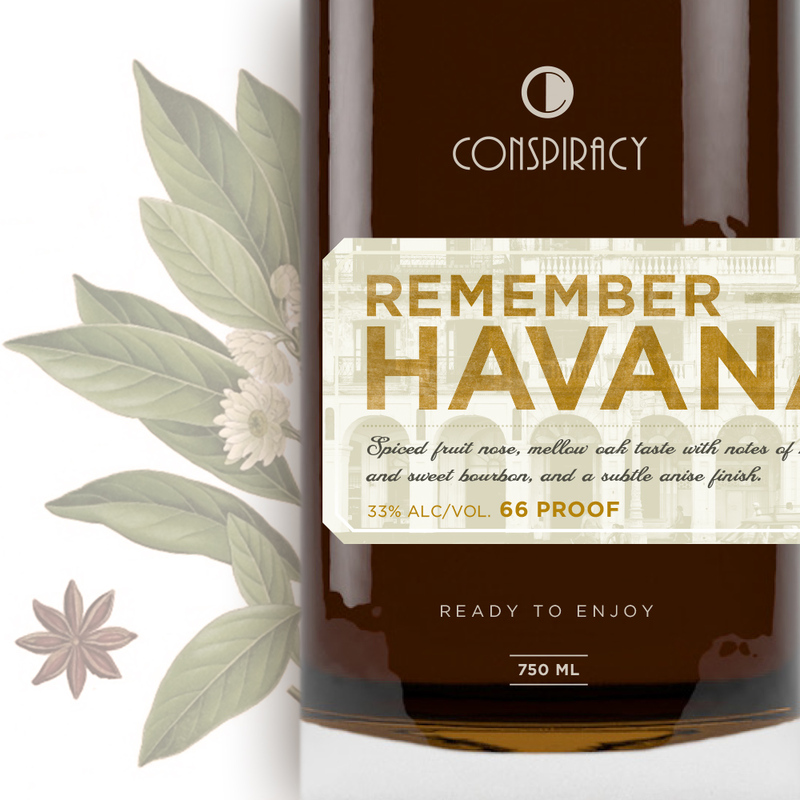 By tying in the illustrations for the original packaging, we were able to create a product line that felt fresh and new, but still related to the rest of the line as a whole. 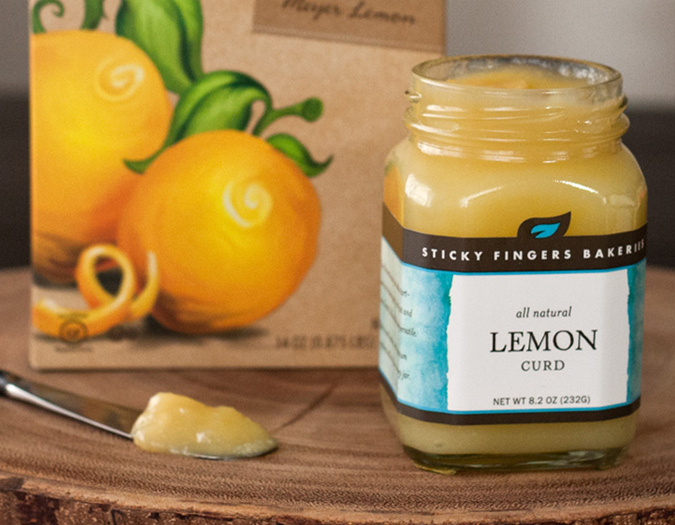 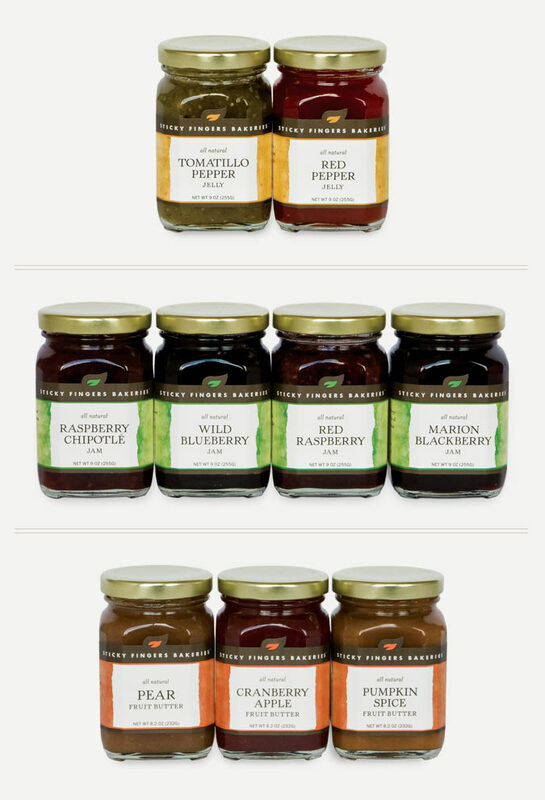 Created a new look for Sticky Fingers Bakeries' delicious new line of jams, jellies, curds and butters. 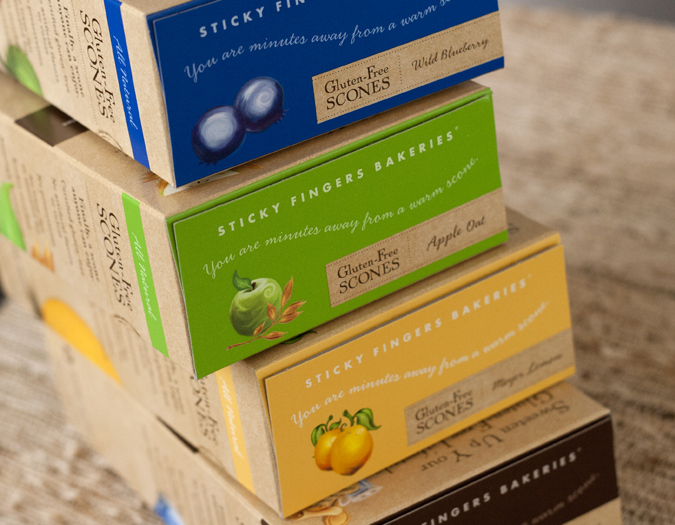 They needed a fresh look that would stand out on the shelf, as well as coordinate with the existing Sticky Fingers Scones.